OUR FOCUS ISN’T ON CREATING WORLD CHAMPIONS. WE FOCUS ON DEVELOPING LIFE CHAMPIONS! The mission of D-1 & Only Martial Arts is to cultivate the minds and bodies of our students and to help and encourage them to be and to do their absolute best. We provide a fun, family-oriented, positive and safe environment for our students. We help shape and nurture the character of our youth, teaching them discipline, focus, respect and self-control. We work towards developing healthy, fit, intelligent and successful students. We also ensure that our diverse program provides our students with the ability to defend themselves from a variety of dangerous situations based on modern and real-world scenarios. We’ve taken a different and innovative approach to self-defense by combining techniques, principles and theories from Krav Maga, Kickboxing, Basic Brazilian Jiu-Jitsu and Arnis. Our curriculum provides our students with the ability to defend themselves standing, on the ground, against multiple attackers and attackers with various weapons. In addition to our realistic curriculum, our focus on character development and our emphasis on fitness and healthy living, we provide fun and free monthly events for the kids, amazing life-skills programs and so much more! We aren’t your average martial arts school and we don’t want to be. 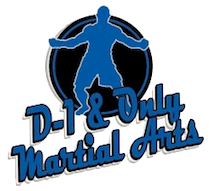 We’re D1 & Only Martial Arts! Try a free week and get started with becoming a champion in life. 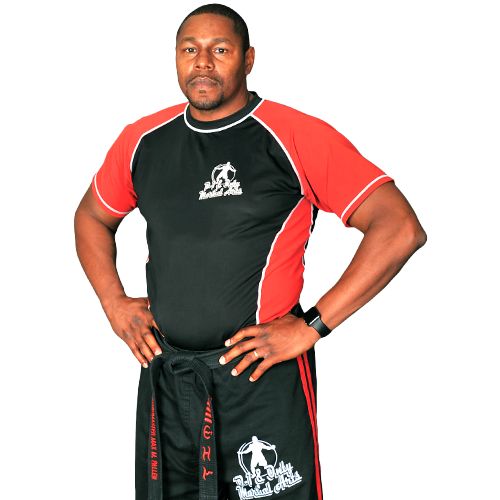 Master Tim is the founder of D1 & Only Martial Arts Academy and the Kajukenbo "Urban Self-Defense System". Master Tim has trained in the martial arts for 23 years. He has a B.S. degree in Business Management and an MBA in Business Administration WGU (Western Governor's University). Prior to becoming a martial arts school owner, Master Tim worked for the Oakland Police Department for two years and for the Novato Police Department for six years. Preceding his employment as a police officer, Master Tim spent six years in the United States Marine Corps as a H.A.W.K. Missile Operator; he served during "Operation Desert Storm." Master Tim was Honorably Discharged as an E-5 (Sgt.) in 1992. Executive Director and Co-Founder – Non-profit organization dedicated to helping at-risk and underprivileged youth in our communities.